Apple has made its first mark on the Beats headphone line by releasing three new versions of the Solo2 cans; now available in gold, silver and space grey. Since its $3bn Beats buy-out, Apple has seemingly focused all its efforts on relaunching the Beats Music streaming service, which is expected to roll out sometime this year. 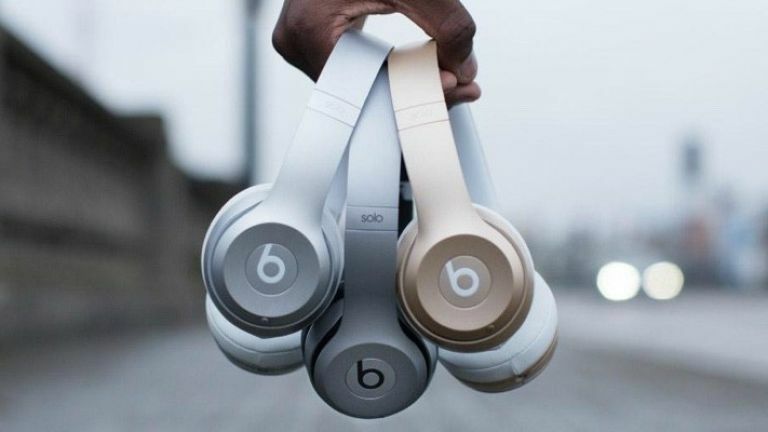 But the Cupertino firm has now put its own stamp on the Beats headphone line by adding three new colours to the Beats Solo2 range; gold, silver, and space grey. Unsurprisingly these are the trademark Apple colours that feature on all of their devices, including the iPhone 6 & iPhone 6 Plus, iPad, new MacBook and Apple Watch. The three new versions went on sale yesterday, which just happened to be the same day that the new MacBook went on sale and Apple Watch pre-orders officially kicked off. The wired Solo2 headphones start at £169, while the wireless models cost £100 more, bearing a £269 price tag. Fear not though, you can still pick up Solo2 headphones in the original red, black, white and blue colours. The new range just lets you match up your device with your cans; something Apple fanboys have likely been dreaming of. Interested? Buy them here.